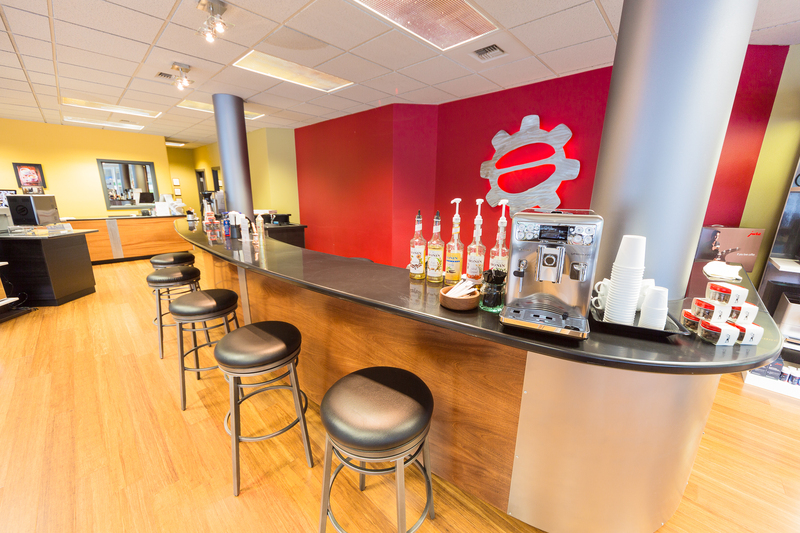 Since its inception in 2005, Seattle Coffee Gear has become the premier resource for making a better cup of coffee. 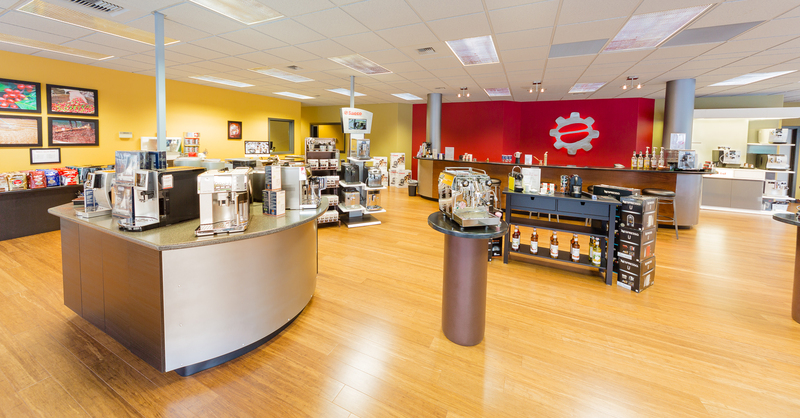 Not only do we carry a wide array of products (from drip coffee makers to espresso machines to tea kettles and other accessories), but we also provide a number of resources to enable you to make educated decisions about your gear. Through articles, infographics, videos and a well-informed staff, we’ll help you find the right equipment, learn how to use it and teach you how to keep your machine in the best shape possible so you can enjoy it (and, more importantly, the drinks it produces) for years to come. Feel free to repost infographics or cite articles with a credit back to SCG. 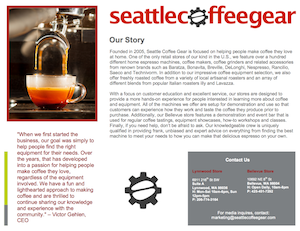 The media kit contains photos and images owned by Seattle Coffee Gear. By accessing the material, you accept the following terms and conditions: (1) Do no digitally alter photos, images or videos for publication or reproduction (2) photos, images or videos which are used for publication require the acknowledgement of Seattle Coffee Gear as the source of the material (3) Do not sub-licence, resell or make any photos, images or videos available for separate downloading (4) Do not use photos, images or videos in any defamatory or illegal manner, or contrary to the interests of Seattle Coffee Gear (5) Do not use photos, images or videos in a manner that represents the use or endorsement of a product or service, or to make a false association with other organizations.